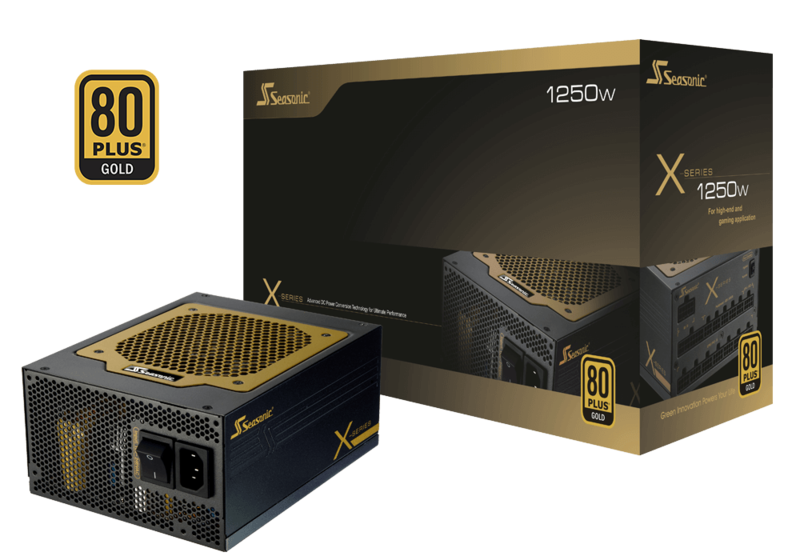 The Seasonic X-Series was pioneering in obtaining the industry’s first 80 PLUS® Gold certification in 2009. Its 80 PLUS® Gold efficiency rating guarantees that efficiency will stay above 87 % at all loading levels. Moreover, the X-Series is also compliant with the Energy Star 5.0 rating and reduces energy consumption under standby, sleep and idle mode. This Seasonic market leader series it is a true representative of Green PC technology, which has many built-in features to help computer users lower their electricity bills. These power supplies are real top performers in Seasonic’s fully modular, multi-output ATX power supply family. All X-Series units also feature a patented design of DC Connector Module with Integrated VRM, with which these units achieve near-perfect DC-to-DC conversion, along with a true power factor above 0.9.